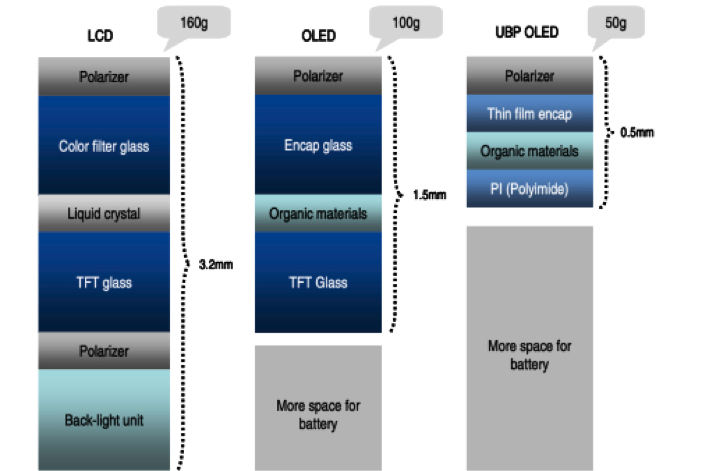 Samsung wants to introduce the first plastic OLED display in the upcoming Galaxy Note III. SamMobile early hinted on twitter on the next generation display by Samsung Display. Samsung wants to introduce the Galaxy Note III at IFA 2013. The device self will go on sale from Q4. According to our insider who tipped us about the next generation display Samsung wants to show their new display tech at the end of the year. 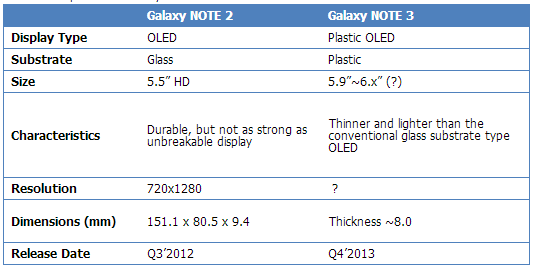 Which could be at IFA for the Galaxy Note III. Last information says: The Galaxy Note III will have a 5.99” display. Now this is innovation! No more broken screens. For the full technical specifications and explenation just hit the source link down below! Can’t wait for the Note III to finally come out. All speculations and rumors are really not necessary, until we have something official on our hands. Isn’t this a step backwards to screens that can be scratched? Will it be scratch-proof ? I was looking for this comment. A glass encasement might still be a good idea to provide protection…If it scratched or broke, you could replace the glass face at a lower cost than an LCD display screen. Haven ´t the Youm displays amorf polyamide as substrate? Because amorf polyamide handle higher temperature than crystalline polyamide can handle. Amorf polyamide have another interesting trait and that is that it is transparent. And amoled displays can be partially or totally transparent when no current is on each subpixel or pixels. If Samsung mobile Display uses amorf polyamide this feature of being transparent can make many interesting properties in the future. this is my last resort to buy new Samsung product, please don’t let me down by soap bar look or spoon & plate design, even its too big in my hand. That is HUGE !! 0.5mm wooww !!! But from what I’ve heard, the problem of the resolution on the note screens is actually limited because of the Wacom technology which cannot support more than 720p HD. I guess they will come to 1080p for next gen. I noticed when you hover the pen the pen pointer jumps to discreet positions in a resolution much lower then the display resolution. I assumed the pen resolution was much lower then 720…??? After the current enjoyment of the Galaxy Note 2. I will definitely be purchasing the Galaxy Note 3 on day one of launch for Tmobile.